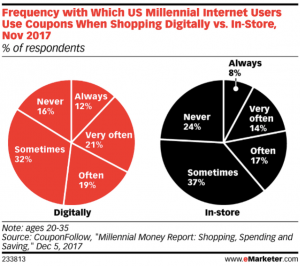 According to an October 2018 study released by Forrester Consulting (“Turbocharging Strategic Promotions: When and Where Deals Matter”), the current shopping experience is often sparked by a discount or coupon that actually initiates the purchase intent. The study reveals that a whopping 77% of shoppers are influenced in where to shop by the availability of discounts. And 48% of purchase conversions are sped up by discount offerings. The Forrester study also relates the importance of thinking through your customer experience throughout the entire consideration and checkout process. Roughly 66% of shoppers seek out a discount BEFORE they begin shopping. 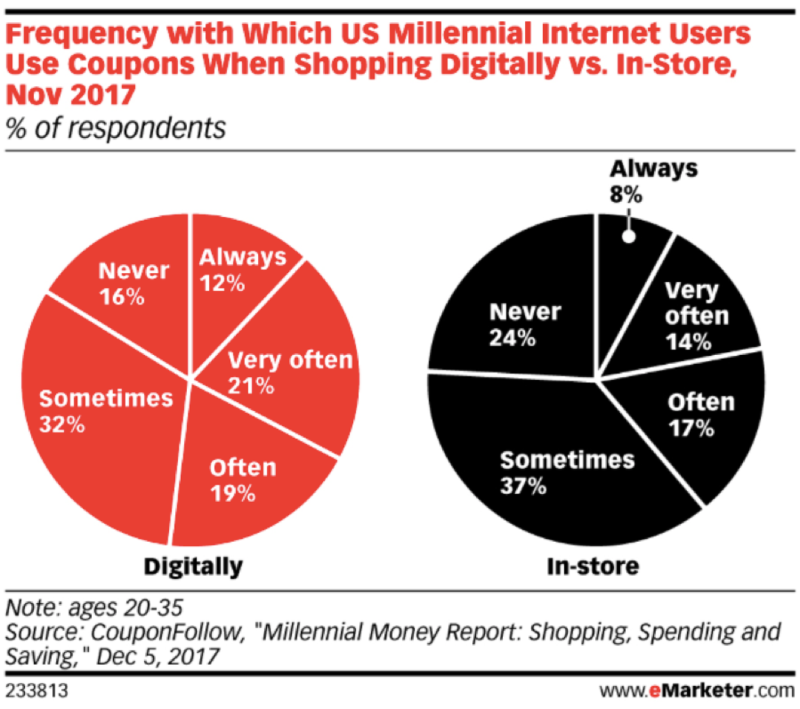 Furthermore, no shopping cart is safe — more than half (55%) of shoppers have abandoned their carts once viewing the order total and 32% have abandoned carts when they find a discount with a different retailer. That hurts! So what should we do first? The first step is to evaluate your pricing strategy to determine what level of discounting your products and services can bear. Next, it is time to figure out how to communicate your new deals. One way is through an integrated media plan. But also, shoppers are demanding integrated and streamlined access to deals for all their purchases. 71% want a single savings destination, such as a website or app (think: RetailMeNot.com). Consumer use of savings apps and sites continues to rise steadily each year. OK, I sold using a discount; now what? The cycle of building loyalty has just begun! Once advertisers have made that initial connection, they must continue to engage. This is the perfect opportunity to create automated messaging paths based on data collected through campaign tracking and, more important, through consumer-supplied information. Ask your customers about preferred products, message frequency, types of future deals of interest, etc. That data will be critical in creating a personalized, nurturing approach to maintain loyalty in a less-than-loyal shopping world.